Ayodhya konflikten- hur länge ska arkeologerna tillåta att den inomdisciplinära debatten tystas av politiska hänsynstagande? 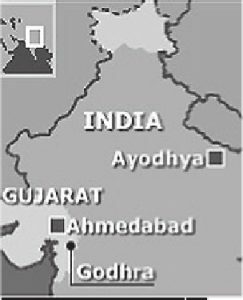 On 6th of December 1992, a huge crowd of Hindu nationalists, who claim Ayodhya as the birthplace of the god Rama, vandalized and razed to the groundthe sixteenth century mosque, Babri Masjid. They claimed that Babri’s Mosque was built over the ruins of a Rama temple dating from the eleventh century AD;a temple Babar allegedly had destroyed. A bloodbath, which resulted in the deathof thousands of people and the destruction of a large amount of Muslim culturalheritage, took place in the beginning of 1993 and then again in the year 2002.In this article I put forward my arguments calling for a worldwide debate amongarchaeologists of all branches about the current misuse of archaeology andarchaeological material for political and religious purposes. In my argumentationI choose to study the Ayodhya issue, being a current and important example. OPEN ACCESS Mire S. (2003), Ayodhya konflikten- hur länge ska arkeologerna tillåta att den inomdisciplinära debatten tystas av politiska hänsynstagande?, META: Medeltidsarkeologisk tidskrift 3: 34-48.